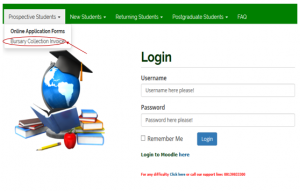 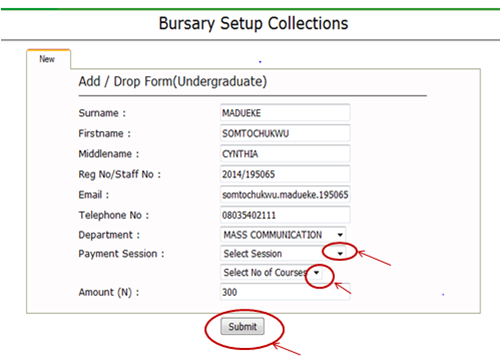 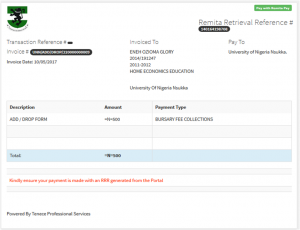 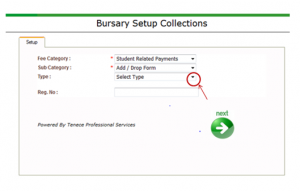 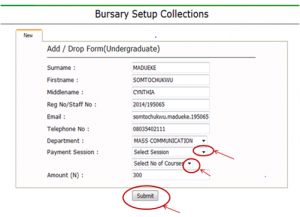 University of Nigeria, Nsukka add/drop slip | How to Generate Invoice For Add & Drop Courses. 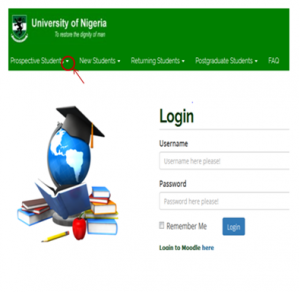 Press the enter key on your keyboard to see the screen below. Click on the drop down button on “Prospective Student”, observe the drop down menu, as shown in the screen below. 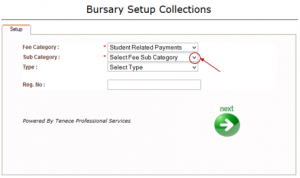 Click on the drop down button on “Select Fee Category”, observe the drop down list, then select “Student Related Payment” the screen as shown below will appear. Click on the drop down button on “Select Fee Sub Category” as shown above, observe the drop down menu, then select “Add / Drop Form” the following screen will appear. 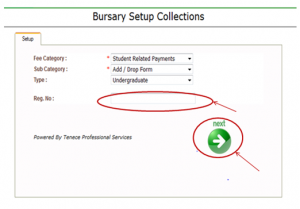 Click on the drop down button on “Select Type” as shown above, observe the drop down menu, then, select “Undergraduate” ( for undergraduates), to see the screen below. Type in your registration number in the “Reg. 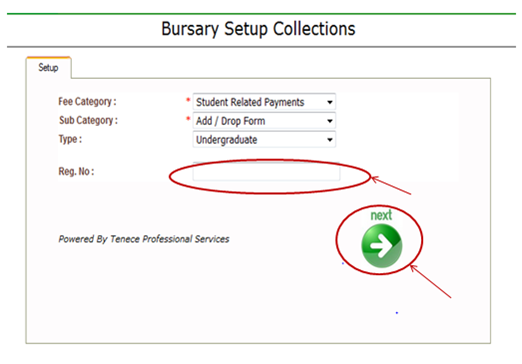 No:” column, then click on “next” button and the following screen will appear. 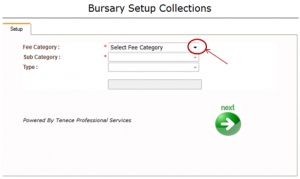 Click on the drop down button on “Payment Session” to select the session you want to pay for. Click on the “Submit” , then the invoice will appear as shown below.